Fraud is not a new concept. Snake oil, advertised to cure everything from arthritis to bursitis in the days of yore, was widely utilized as a way to swindle one’s hard-earned money. Today, fraud takes a different form. The virtual world has allowed for fraudulent activity to be off-the-charts effective. Unfortunately, the pharmaceutical industry has a large target on its back in this regard. The intersection of rising pharma advertising budgets and the cheap cost of committing ad fraud presents the perfect opportunity for cybercriminals to make bank. How can you ensure your ad buys are based on actual data and not a product of those problematic bots? The answer lies in your digital diligence. In this installment of the “best of the best” blogs in relation to ad fraud and accountable media, here are a few posts to revisit as you plan out Q3, Q4, and beyond. Is Your Website Traffic Really Human? Ad fraud is highly lucrative in the pharma arena. The most effective approach is using “bots,” automated browser tools that are inexpensive to create and host. Unfortunately, the damage they incur is at high cost to pharma marketers. These bots waste ad dollars and also invalidate analytics by inflating key metrics. With bad data and only low-tech solutions to rely on, you’ll never know if your budget is actually reaching HCPs. Worse, research has found that fraud isn’t less prevalent in mobile, it’s simply less measurable. Considering HCPs are increasingly using mobile devices to communicate and seek out information, fraud in mobile becomes a real problem. It’s essential for marketers to focus ad dollars (and creative) on the most meaningful HCPs, which is only achievable by identifying and authenticating visitors with high-quality audience identification technology. Read full blog here. It’s really difficult to do digital authentication well. This is particularly true in pharma, which is notably vulnerable because of the very high cost per click (CPCs) and cost per thousand impressions (CPMs) in comparison to other industries. Data vendors are incented for quantity, not quality, and they’re often willing to forfeit accuracy in order to deliver the vast amount of data pharma marketers require. Digital diligence is the key for ensuring your ad buys are based on actual data and not a product of ad fraud. The next time you encounter a data vendor who claims to have all the answers, be ready to ask where the data comes from and how it’s verified. Any vendor offering less than first-party sourcing, domain matching, cross-checking against the American Medical Association Masterfile, and ongoing quality assurance is not worth the investment. Read full blog here. Fine-tuning audience identification technology over the last few years has revealed some interesting facts; a few harder to swallow than others. One striking realization is this: there are way too many bots. In fact, as much as 30% to 40% of pharma website traffic is non-human. 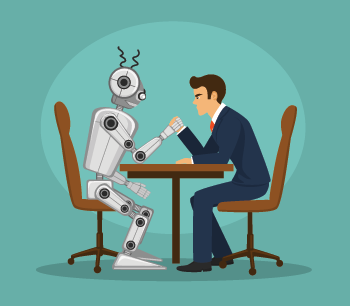 While there’s no hard-and-fast solution to the bot issue, you can mitigate the effects by first understanding they exist and then analyzing individual -- not aggregated -- data on your website traffic. Data that seems too good to be true probably is. Read full blog here. Is Your Online Audience Even Real? That question is not so easily answered in this age of rising digital ad fraud. The pharmaceutical and medical device industries are two entities under constant attack of cybercriminals. Why is that? The reasoning lies in expanding ad budgets, as well as very high CPCs (cost per clicks) and CPMs (cost per thousand impressions). Pharma companies often pay up to 100 times higher CPCs and CPMs compared with other industry verticals, such as consumer packaged goods, entertainment, and retail. Not all is lost, though. Vigilance in recognizing and addressing fraud -- combined with adherence to high-quality data authentication -- will help reduce its negative impact.